I stared at the email in disbelief and re-read it several times over for the news to sink in. 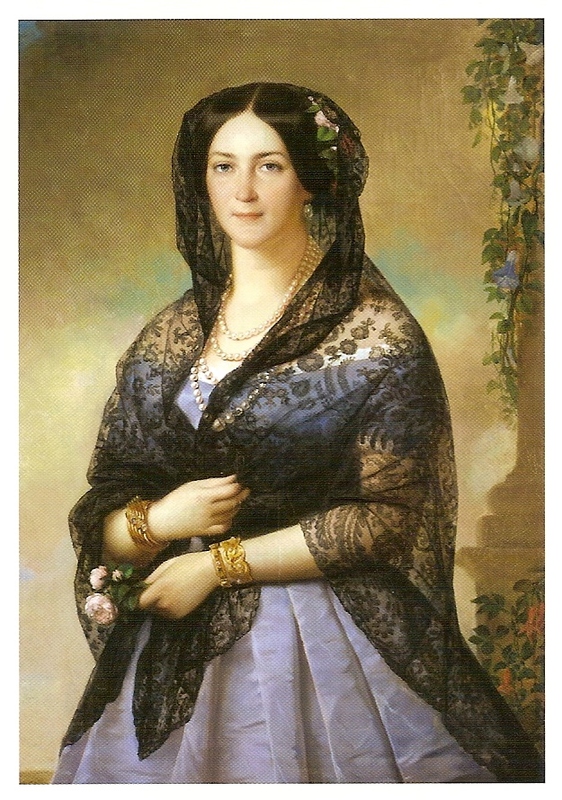 I wanted to ensure that I understood every word, every sentence; and that there was no mistaking that, indeed, my PhD application to the University of Melbourne to work on a new thesis on Franz Xaver Winterhalter (1805-1873), a nineteenth-century, German-born, internationally renowned portrait specialist, has been accepted. This not only meant that I will be able to dedicate the next three years (if not more) of my life to studying professionally one of my favourite subjects, portraiture, and the life and art of one of my favourite practitioners of the genre, Winterhalter, I will also have an opportunity of doing so at one of the most renowned Australian universities under the care and guidance of two most respected academicians, Associate Professor Alison Inglis, and Herald Chair of Fine Arts Professor Jaynie Anderson. This email stunned me completely. If the previous email was re-read by me at least 6 times, this one was re-read at least a dozen times. I felt justifiably and reasonably certain (as did a number of my close friends and colleagues) that, based on my excellent results for the Masters Thesis, I had a good shot at a place in the PhD program at the University of Melbourne. I cannot possibly express the surprise and the elation that I was also granted a three year scholarship to pursue my studies. I paced up and down my lounge room and made several circles around my dining table for the news to sink in. I was afraid to go back to my computer lest I misread the news. But, no, there was no mistaking it. The scholarship was on offer. I think I evinced the loudest yelp of joy; took a deep breath; poured myself a big glass of wine; and sunk deep into the couch to continue processing and digesting the news. One of my most cherished wishes has been granted. Many, many years of hard work and study have been rewarded, and I will be able to pursue my Winterhalter studies at the University of Melbourne, with the University’s support to do so! Created in the twilight years of his career, late portraits of Sir John Everett Millais speak of painterly wisdom and artistic maturity. The present portrait of Cecil Prout Webb, of 1887, painted within the last decade of the artist’s life, is an exercise in technical skill and stylistic perfection. The boy is portrayed full-length out of doors, seated on a moss-covered garden seat, dressed in a smart winter coat edged with fur, and sporting a pair of new shiny boots and leather gloves. Children occupy a significant place in the artist’s oeuvre, and he often used his own children and those of his neighbours and friends as prototypes for some of the most successful genre pictures, like My First Sermon (1863), Cherry Ripe (1879) and Soap Bubbles (1886). 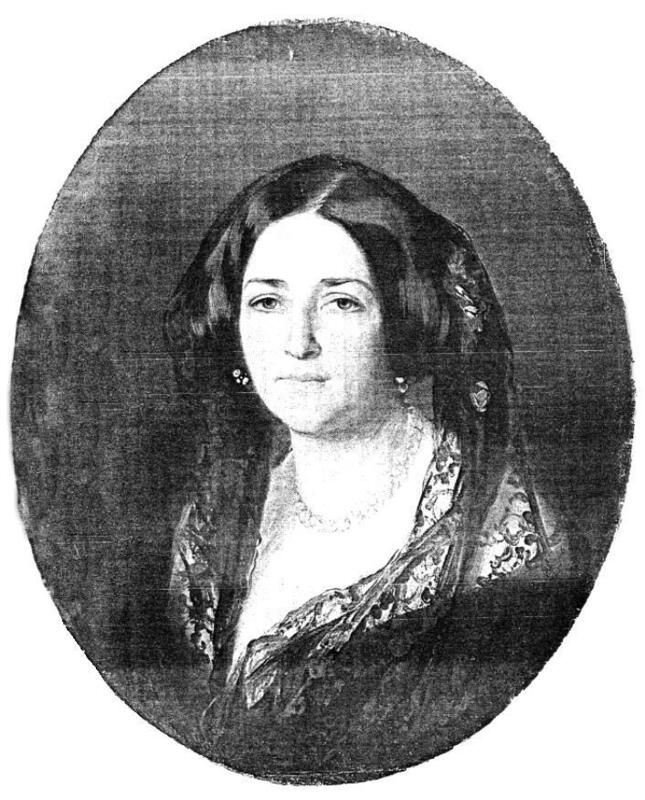 Traditional iconography of the portrait would have been clearly read by a 19th-century spectator. Young Master Webb is no ordinary boy, but an heir to what Nancy Mitford termed in her novels “all this”. His carefully tailored coat with its rich trimmings sits comfortably on the boy, and his leather shoes are of the proper black colour as becoming of a young gentleman. Furthermore, the woodland setting and a moss-covered stone seat speak of establishment, stability, and continuity, while the overgrown garden scape evokes a traditional country manor. However, there is a sad twist to this story. Recent research, based on the date of the portrait and the dates of the sitter’s life, indicates that this is a posthumous portrait of the boy. As such, it would have been commissioned by the boy’s parents from Millais (a highly successful as well as fashionable portrait painter of the era, with charges of up to £2,000 for a full length likeness) on the basis of photographs. True to the prevalent Victorian painterly tradition where ‘every picture tells a story’, Millais incorporated this sad narrative into the portrait. The rays that light the boy’s face belong to a sun of spring, traditionally identified in painting with youth, while a shiver of winter that permeates the twilight atmosphere allegorises old age. Similarly, while traditionally children were represented dressed in light summer’s day clothes, the sombre winter attire of the young Master Webb may also point to his untimely passing. 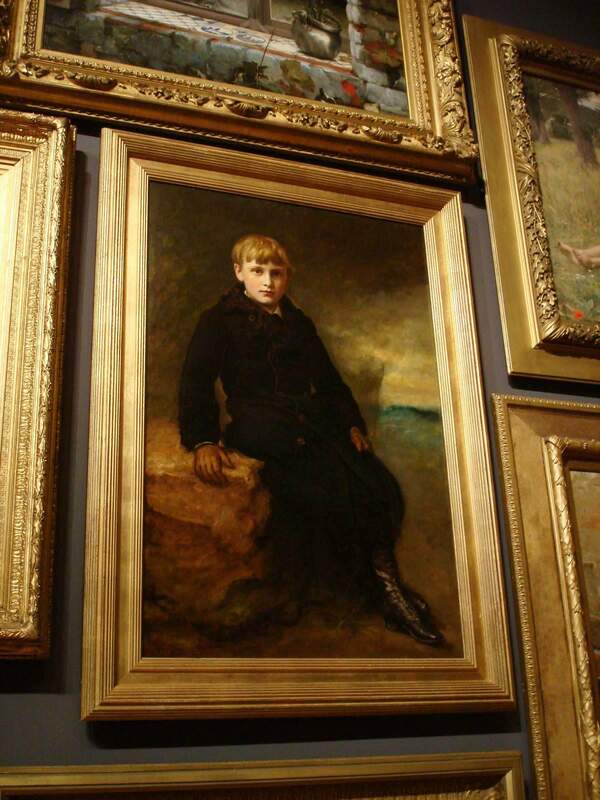 Millais’s portraits of children are usually filled with energy and effervescence, and more often than not are highly original compositions based on sketches and drawings from life. However, faced with a challenge of creating an original work of art based on a photographic still, Millais may have sought inspiration from such earlier portrait painters like Franz Xaver Winterhalter, whose portrait of the young Duc de Brabant of 1844 it strongly resembles. It is highly probable that Millais found a successful resolution to this challenge by basing the present portrait on an existing iconographic template. Landscape and portraiture – two of the most popular genres in English painting – are brought together successfully in this canvas by Millais, an accomplished master of both. The painting thus leaves the confines of portraiture and evolves into Millais’ aesthetic reflection on youth and the transcendent essence of life. While researching Winterhalter, I came across a curious book by Gunther Haase, Die Kunstsammlung Adolf Hitler (Berlin, Edition Q, 2002). The book centered upon art collecting during the Third Reich, and concentrated on the artworks which were discovered by the Allied Armies in the Altaussee mines in May 1945. A significant number of these works were intended for Hitler’s famed art museum at his birth place, Linz. The book was supplemented by a facsimile reproduction of the original inventory, which listed all the artworks which were recovered from Altaussee. 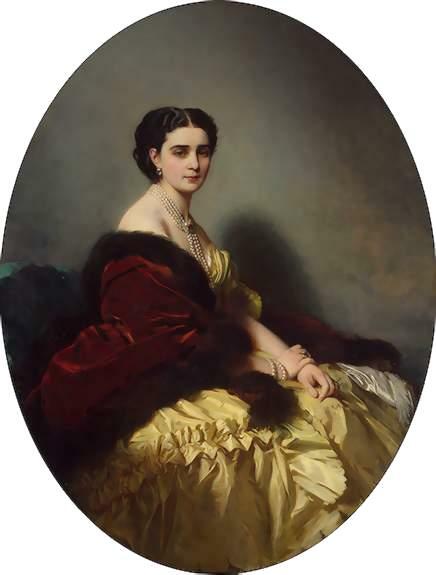 The list included only thirteen paintings by Franz Xaver Winterhalter. 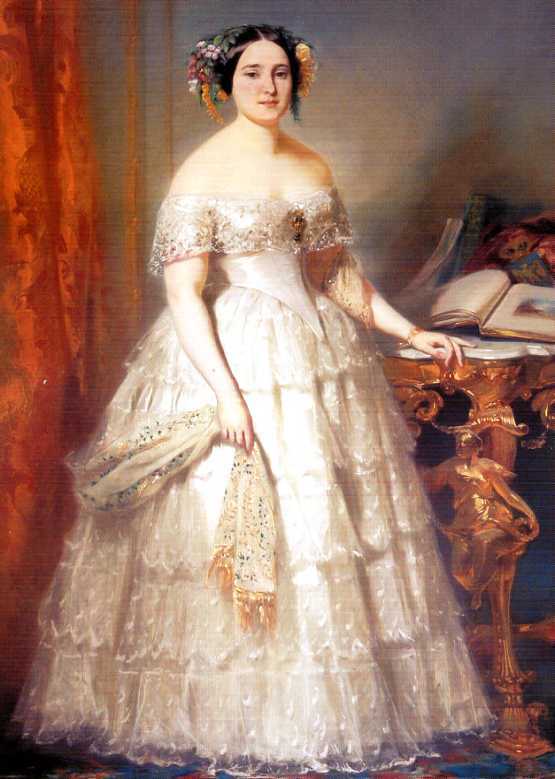 Winterhalter was never high on the list of Third Reich’s collecting priorities. Though he was born and died in Germany, most of the artist’s working life was spent in Paris and London. 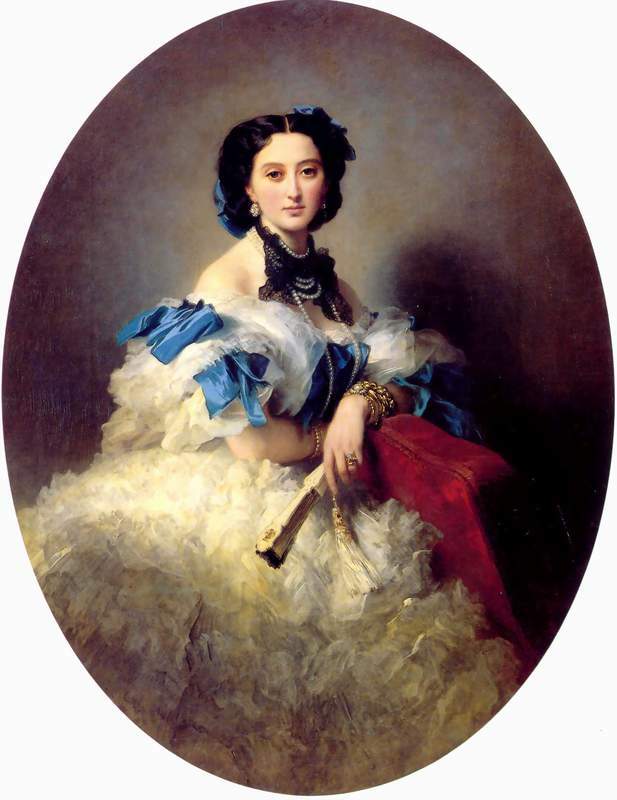 His clientele was predominantly French, English, and Russian; and his best-known paintings, his acknowledged masterpieces, are likewise portraits of French, English, and Russian women. 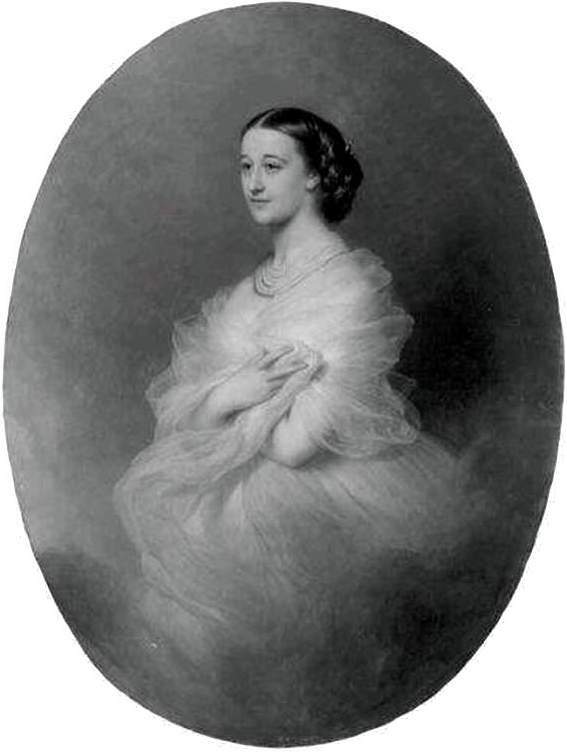 Winterhalter did have a small (though dedicated) following among sovereign heads of German states and their families, who were inevitably related to his French, Russian, and English clients (as well as his erstwhile patrons, the Grand Dukes of Baden). 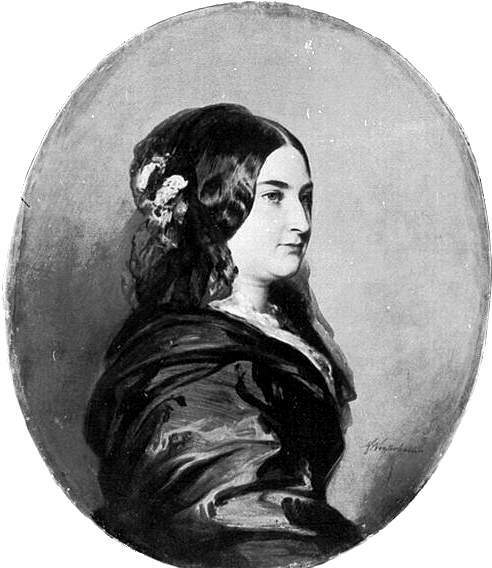 However, one would search in vain in Winterhalter’s oeuvre for a German equivalent of his Empress Eugenie with her Ladies in Waiting; or his Queen Victoria with Prince Albert and their Five Eldest Children. This may explain partly why Winterhalter was never high on the list of the Third Reich’s collecting priorities. The list, however, reveals an interesting quirk about Winterhalters in Adolf Hitler’s art collection. 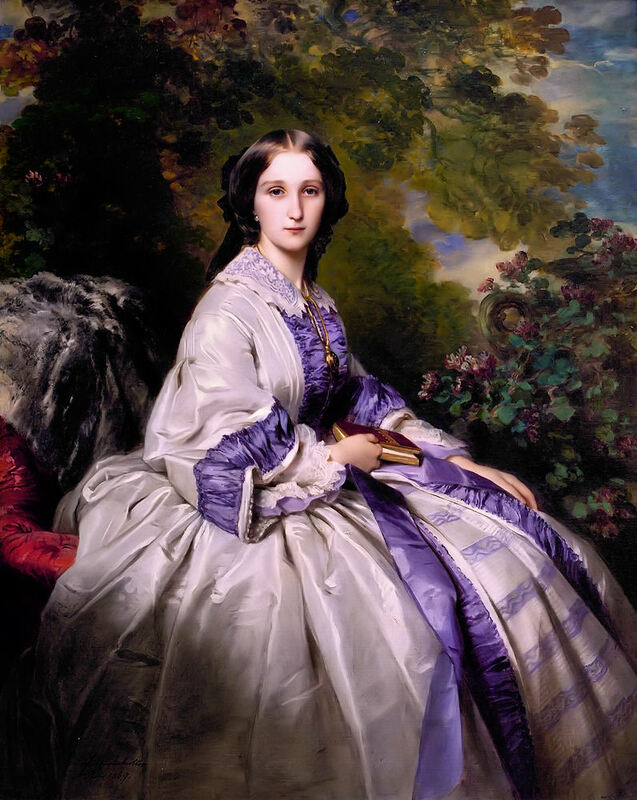 Of the thirteen works, only one is considered a true Winterhalter masterpiece – his 1863 portrait of the Russian-born Duchesse de Morny. Another five are representative of Winterhalter’s oeuvre (though perhaps lacking the same sparkling, inspired quality as the Morny portrait). 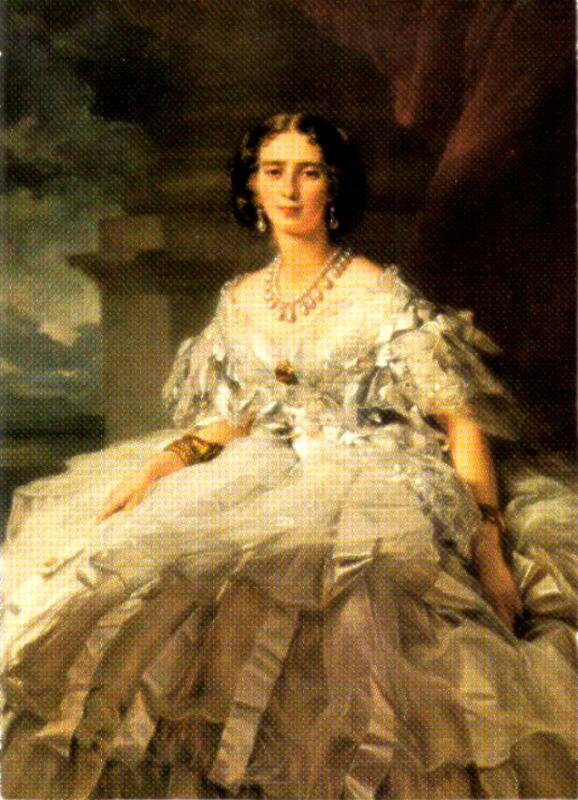 The attribution of the remaining seven works to Franz Xaver Winterhalter is highly dubious! This list bears witness that although Hitler plundered the best public and private collections of the vanquished Europe, he may not have had necessarily surrounded himself with the best art advisors or experts in the field. This observation has been made also by numerous art scholars of the Third Reich. One of Hitler’s “favourite” art suppliers was one Maria Almas-Dietrich, an art dealer who was formerly based in Paris, and then in Munich. 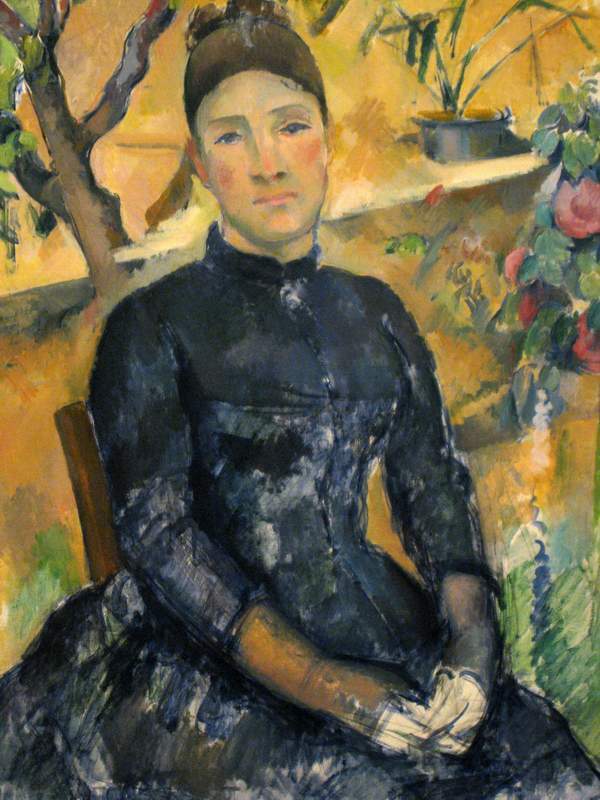 She specialized in 19th-Century art, and sold to Hitler and his retinue numerous artworks provenanced from French private collections. 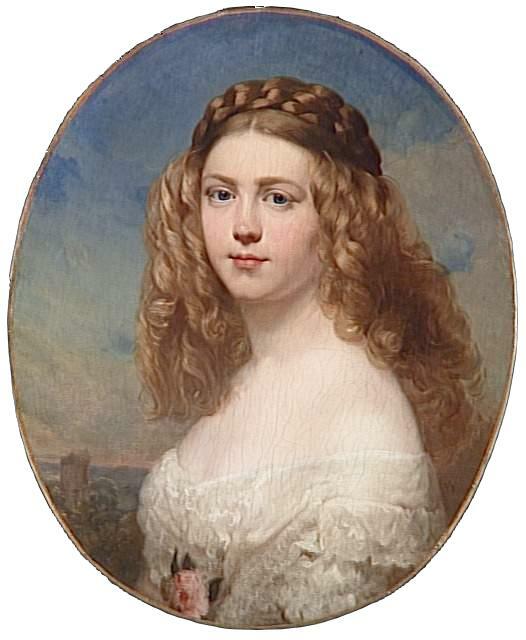 A number of paintings by Winterhalter, including those with a very tenuous attribution to the artist’s hand, bear her gallery label on the reverse. In fact, misattribution runs rife in the inventory of paintings sold by Dietrich. It is open to speculation what would have befallen these “suppliers” and “advisers”, once their deception – whether deliberate or based on their lack of knowledge and expertise – came to light. The fall of the Third Reich in 1945 put an end to that. 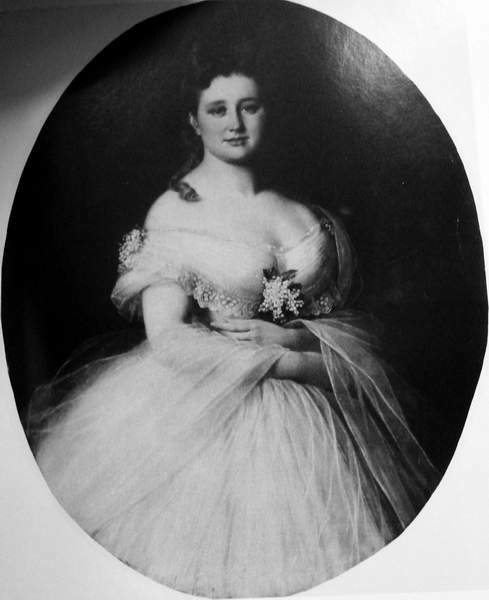 But what has befallen these Winterhalter – and so-called Winterhalter – paintings found in Altaussee? 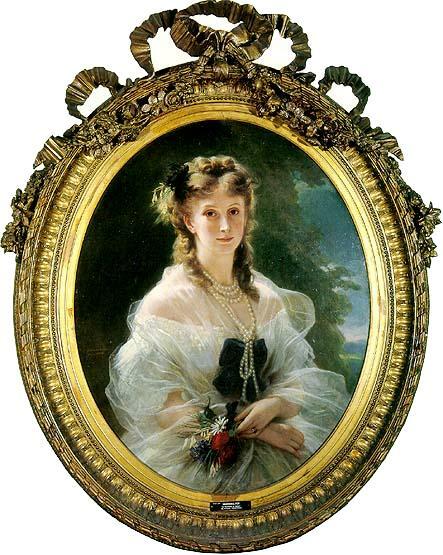 Three of them (all by Winterhalter) are in German public collections. 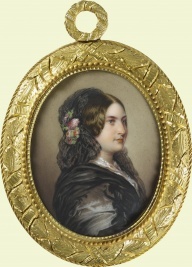 Six of them, which came from French collections (only two of which are verifiably by Winterhalter), have been returned to France and deposited among French museums, including the Louvre, Compiègne, Brest, and others. 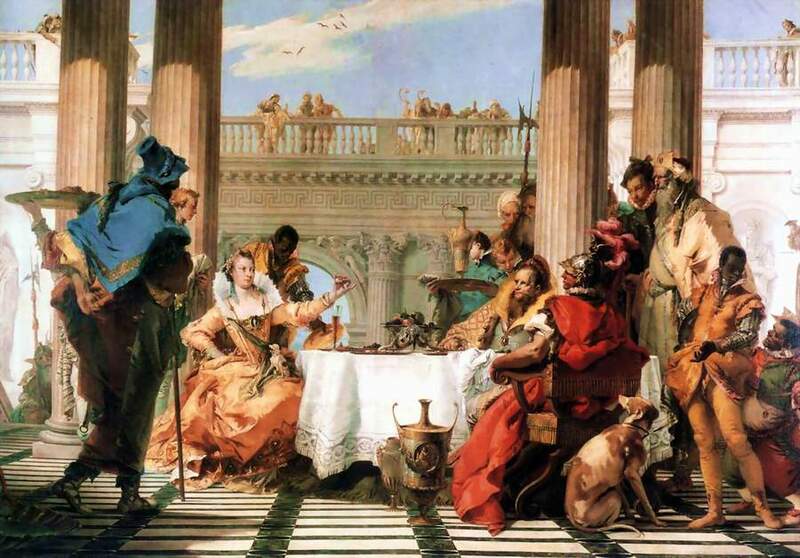 Of the remaining four (only one of which can be attributed with 100% certainty to Winterhalter’s hand), three appeared on the art market within the last ten years. Only one of them, the so-called portrait of the Marquise de Villiers, is currently untraced.